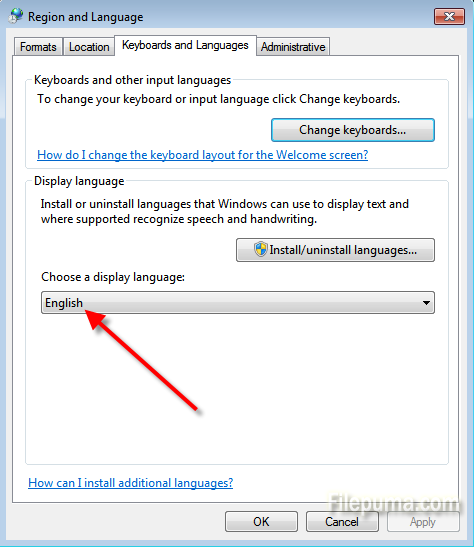 How to Change Windows 7 Display Language to English? Step Two: Under the “Clock, Language and Region”, click “Change display language”. Step Three: Click “Install/uninstall languages” in the “Display language” section and follow the prompts to install the English language pack. Step Four: Select “English” from the list of languages under “Display language,” then click “OK”.